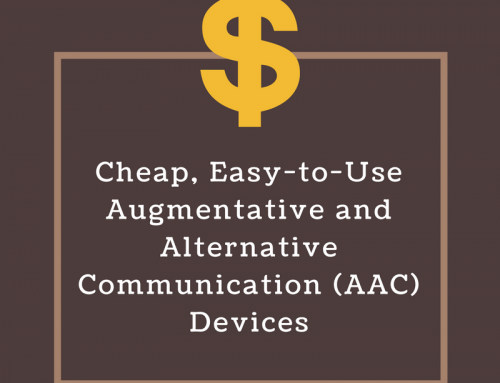 Prerequisite Skills for AAC: Who Can Use an AAC Device? Home/AAC Instruction, Augmentative and Alternative Communication (AAC), High Tech AAC, Low Tech AAC/Prerequisite Skills for AAC: Who Can Use an AAC Device? What are the Prerequisite Skills for AAC Devices? This is the most common question I get from parents and therapists working with non-verbal children who are considering augmented or alternative communication (AAC) systems or devices for a child. There seem to be a pre-conceived notion that there are some pre-requisites for AAC devices that a child must have before they can be considered a candidate for an AAC device. This is simply not true. In fact, AAC can actually help a child learn those skills more quickly. The following examples will explain what I mean. I will mention some common “prerequisite skills for AAC” that I hear about for AAC children and then I will explain why each one is not necessary before AAC can be initiated. 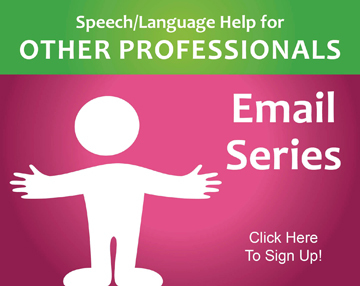 Or, if you’re looking for information about How to Teach AAC Devices to Children, Click Here! Cause and effect is the basis for communication. If a child doesn’t understand that an action they take causes something to happen, they will not try to communicate to cause something to happen either. Some people believe that this means a child cannot use AAC if they don’t understand cause/effect. Let’s say the child really likes Cheerios. You can record your voice on the button saying “cheerio” so that every time the button is pushed it will say that message. Now, help the child move her hand to push the button. When it says “Cheerio”, respond as though the child had just said the word: “Oh you want a Cheerio! Sure!” and promptly give the child a cheerio. Now, the child is beginning to learn that when she pushes the button, she gets a cheerio! That’s teaching her cause and effect and how to use an AAC device. It’s perfect! One common problem for non-verbal children is that they don’t understand that the picture of the cheerio in front of him represents that cheerio in your hand that he wants. Fortunately, AAC devices can be used to teach your child that as well! If you are using a one-button talker, like the one mentioned above, simply attach a picture of what your child is requesting to the button. You can Velcro it on so that you can switch it out when your child wants something else. This will help your child begin to associate that picture with what he requests. Once your child is doing well at that, you can try a talker with two buttons, such as Mayer Johnson’s iTalk2 Communicator. For this device, put a picture of something the child really wants on one button (such as the cheerio) and then on the other button, put a picture of something the child really dislikes (such as anchovies). Then, when the child pushes the wrong button, give him the thing he dislikes. Once he figures out which button gets him which thing, start switching the pictures around so that he really has to look at the picture to make sure he requests the correct thing. This will help him understand that the picture of the cheerio is what will get him what he wants. Technology is an amazing thing and AAC companies have come up with tons of different ways for AAC users to access their devices, even if they do not have great motor skills. Jelly Bean Switch: Can be positioned near any part of your child’s body so she can activate her talker with her head, leg, knee, foot, hand, elbow, etc. Tilt Switch: Will allow your child to access her talker by tilting her head. 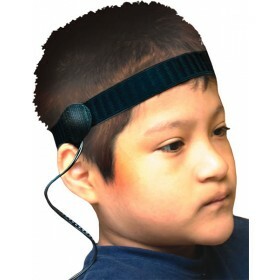 Eye Gaze Systems: The device will recognize what your child is looking at and speak that message. There is nothing that says that children must have great language skills before they can start communicating! You can start with one button and one word that the child is able to say using a communication device. The child only needs to understand that they want the thing they get when they push that button. The language skills will follow once he understands the effect that communicating has (it gets him what he wants!). Think of it like this: we talk to children and use speech around them well before they are able to understand it or use it themselves. That’s how they learn! Similarly, we don’t have to wait until the child understands language before we start exposing him to an AAC device or system. This is one I commonly see in children with autism. Parents or therapists will say “well, he never seems to want to communicate anything so I don’t think he would use a button to communicate either”. For some children, that may be the case, but you never know until you try. It is very likely that the child does not yet understand the power of communication. Once you teach the child that pushing a button will get her something she wants, you may be surprised how much her interest in communication grows. 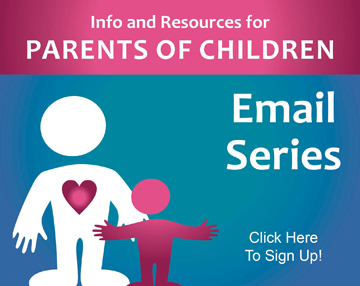 For many children, spoken words are much too difficult so verbal communication is not even an option. If that is the only means of communication they have been exposed to, they will not be very interested in communicating since it is so difficult for them. Once you give them an easier means of communicating, you may be able to show them how wonderful communication is and get them interested. Once they are interested in communicating, they often begin making more attempts at verbal communication as well! This is something that a lot of parents worry about when using AAC. What if the child doesn’t have the device nearby when she needs it? Then it won’t do us any good. You’re right! Mayer Johnson has come up with a great solution for this problem. 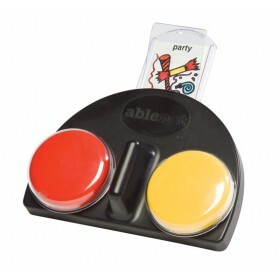 They have created the Go Talk Buttons which are small buttons that only cost $14.00 each. 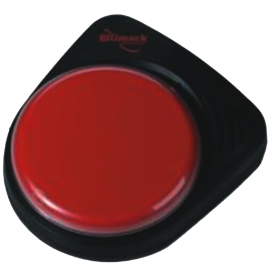 These buttons contain one message but can be mounted anywhere in your house and would allow the child to request an object that is always near that location. For example, you might put a button on the fridge (using the built-in magnet) that says “juice” when the child pushes it. Since the child knows the juice is in the fridge, she will be likely to go there for the juice anyway and then there will be a communication device available for her. You could also have one near the door that says “play outside” or one near the bathroom that says “potty”. 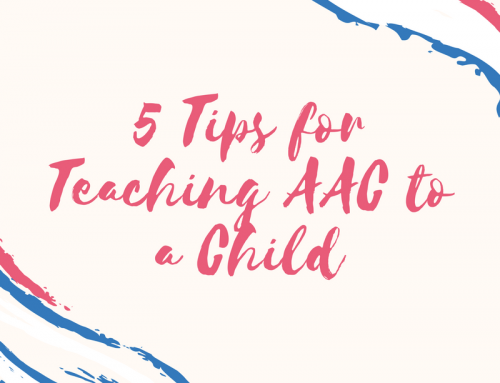 This is a great way to introduce the child to AAC because many children will lead an adult over to what they want anyway. Click Here to purchase this or any Mayer Johnson product on their website, you will also receive free shipping on your order by following my affiliate links! In short, there are no prerequisites skills for AAC devices that a child must meet before he or she is allowed to try an AAC device. That isn’t to say that an AAC device will work for every child. Instead, what I hope to convey is that every child deserves the right to try an AAC device and shouldn’t be denied that right just because they seem to be lacking some important skill. I hope this helps you understand a little more about how AAC can be used with non-verbal and very young children. Using AAC is such a wonderful way to get non-verbal or unintelligible children to start talking and there are so many options out there. Many times, using an AAC device is just what is needed to give the child a jump-start to communicating and eventually get her talking! This is a very good article. So many people do not understand that there are no prerequisites for using AAC!! Thank you! It’s a question that I have heard many times so I figured other people needed the information as well! For so long, we thought, “When the child has the prerequisite skills, THEN we can look at AT. John Halloran, with his LAMP program (Language Acquisition Through Motor Planning) caused me to have a complete mental shift when I first saw his presentation years ago and realized, “Boy, do we have it all wrong! We USE the technology to TEACH the language/concepts”—just like we verbally model and then wait, for a typical child to orally respond or say the word.. Thanks so much for posting this article. Having it written down, allows me to provide parents with “written support” for my verbal recommendations! No problem! 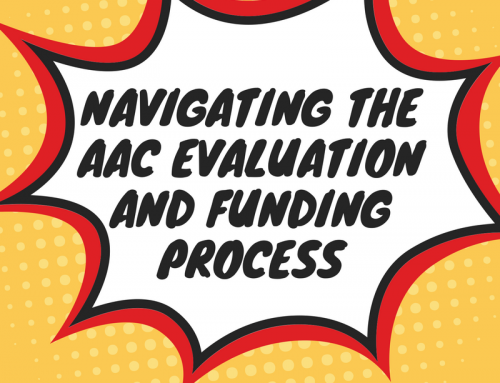 Since I have been in the field a relatively short time compared to some SLPs, my training included information about how there were not any prerequisites for AAC so I was surprised that so many people thought there were. Hopefully this will help clear up some confusion! This is fabulous. You successfully busted myths about AAC and I will be sharing! I’m a big supporter of AAC. My son was using AAC by 28 months. So often the myth of too young is out there….I wish we would have introduced it sooner. It could have avoided some stressful times with behaviors. Life got a bit easier once basic needs were met. He is 5 now and has had his Vantage Lite for 2 years! He is still learning but he certainty understand that it is his talker and is using it more and more to communicate. Just recently he told us where he would like to be tickled as in naming body parts – “I want tickles please; tummy” and has been pretty good about telling people when he is done with someone/something – like at his dentist appointment he told them to “stop, all-done” and then “good-bye”. It was pretty cute, funny, and awesome all together! Don’t be shy in seeking out AAC…it can be a real life changer! Also love LAMP too! That is so wonderful! 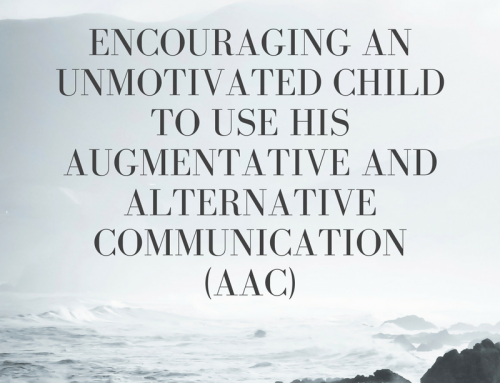 I’m so glad to hear that AAC has changed your son’s life in such a meaningful way! It sounds like he’s doing some really cool (and cute) things with his talker. Good luck in the future and thank you for reading!! People need to get this, and they need to get that no, you can’t take away an AAC device for reasons that are not legitimately life or death. Yes, I agree! Great article. I agree that the “myths” can be just that…but you need to address cognition. I’ve been doing this for 25 years and when a student is referred who presents with profound retardation, we can’t offer much except sensory stimuli. Also, I get referrals for persons who are much older (18 and up) and they present a huge challenge. I hate it when someone gives absolutes because each person is different and their life experiences, I.e., home environment, second language issues, etc. weigh heavily on an individual’s success. I do believe in giving someone every opportunity and I love the core vocabulary strategies presented by Gail Van TatenHove and Prentke-Romich. I completely agree with you! Each child is different and there are many reasons why not to use AAC with a child. It is always important to keep in mind individual differences and consider whether AAC is appropriate for each child. I like your point that every child should be given every opportunity, which is why I created this article. My point is not that every child will be successful with AAC, I just believe that every child should have a chance to use AAC (be it sign language, PECS, or a voice output device). You never know which children will surprise you with their ability to use AAC! I apologize if you felt like this article was giving absolutes that AAC could work for all types of children, that was not my intention! I just want to dispel some of the myths that are holding some children back from even getting to try AAC when they may be good fits for it. Every non-verbal or severely unintelligible child deserves a chance to learn an alternative means to communicate! 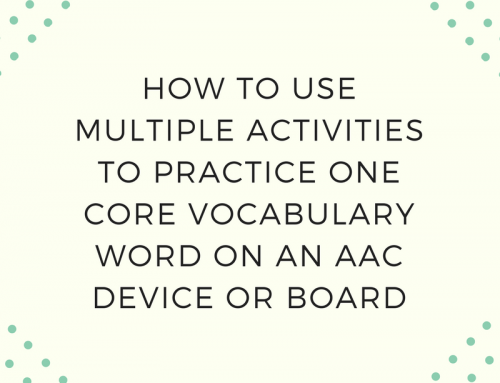 I also love the core vocabulary strategies and I am so excited to see that more devices and AAC applications are moving toward this type of approach. I think it is so wonderful for building language skills in AAC users! Thank you so much for your comment!! The problem with addressing cognition as a barrier to communication is this–how do you measure cognition in the absence of a way to communicate? A personal example– I have a daughter who has rett syndrome. Kids with rett are nonverbal, and they lose all purposeful use of their hands. They cannot say an answer, they cannot touch an answer. They also have severe apraxia, so if you came up with a method that wasn’t speech or touch, they probably couldn’t execute it– they couldn’t walk to it, assuming they could walk– 60-70% of girls with rett can’t. The apraxia makes it nearly impossible to follow directions. And the response time can be nearly a minute long. If you wanted them to respond by, say, standing up, or jumping, or raising an arm, the girls that have the ability to perform those actions cannot do it “on command.”. Additionally, the combination of apraxia and anxiety means that it’s quite likely that the child will “freeze up” with an unfamiliar communication parter and be unable to do anything at all. Any test now in use will proclaim my daughter to have the intelligence of a 6 month old. However, given the right circumstances, she can answer questions about Harry Potter. She can tell you what position Harry plays on the Quidditch team! New research into eye gaze technology allows doctors/researchers to gather data on what a child’s eyes focus on when she looks at various pictures. A girl with rett focuses on facial features- eyes and mouth– when they see a picture of a person. When they look at a scene, and later see the same scene with a new object added, they look at the new thing. There was no difference between girls with rett and a control group of children. There was also no difference when compared to a group of doctors doing the same tasks. It appears that focus, attention, etc, is not impaired in girls with rett. She’s in there. She just can’t get out. Yet. Rett syndrome has been reversed in mice. They are cured. So rett really really messes a person’s brain system up. But it doesn’t break it. It’s there, she just can’t control anything. So for many years girls with rett have been declared profoundly retarded, and treated and educated as a 6 month old might be. But people close to the girls know that’s just not true. With creative methods of teaching and answering, girls with rett are learning to read, do math, keep up with typical classmates. And they can communicate. Many use the MyTobii eye gaze system, because it’s more forgiving than most systems of the uncontrolled movements our girls are prone to. It’s interesting to note that many girls who were NOT successful with PECS or switches do quite well with eye gaze. Think how many never got the chance because they could not move through the hierarchy of communication devices. That’s a long way of saying that judging that a person doesn’t have enough cognition to benefit from chances for communication might be trapping that person in a dark, lonely place, with not much to look forward to, or to hope for, in their lives. Getting off my soapbox now. I absolutely love this! Thank you!! This is great proof that every child deserves a chance to try AAC, some may just need a different means of accessing a communication device. Representatives from the AAC companies are very good at helping you find something from their company that may work for your child. Don’t give up, keep advocating for your child!! What a wonderful story! Thanks Donna this is an excellent example described in great detail of how someone can be misdiagnosed without a means to communicate and why looking at and discovering each individuals access method is so important. I did a TED talk about exactly this. How we presume that someone is not intelligent until they communicate “our way” and then when they get the means we proclaim it a “miracle” ! when really it is just technology catching up. In the case of the Rhett’s Mom above, the use of eye-gaze with existing affordable consumer technology is going to be life changing as it will allow so many to communicate truly independently for the first time. I can’t imagine how anyone would presume to estimate a persons intelligence based on their ability to respond to questions when they have no means to communicate. It’s like testing someone’s intelligence based on their ability to speak English – when they could be a Professor in their mother-tongue. I also think that providing more people with access to AAC means they will become a lot harder to ignore or overlook in choice making – which is great news for them, not so much for service providers who want to do things the easy way, without consideration for their client’s real interests and wants. I’m looking forward to things getting a lot more tricky for these underwhelming service providers, when the currently “voiceless” finally get to have their say. What a fantastic response! You are so right, I am glad to hear about others who are our there fighting for our kids’ rights to be heard. Thank you so much for sharing!! Thank you so much for posting this valuable information. I’m relatively new to the AAC field and learning every day from articles like yours! That’s great! I’m glad I can help!! This article about pre requisites about ACC devices just came to the right time ! I just had this conversation with my child’s Speech yherapist and she told me my child was not ready for any kind of device until he didnt use pictures properly…. im glad i saw this i bought one of those bottons a long time ago and never new what to use it for …. thanks so much what a helpful article !!!! You’re welcome! 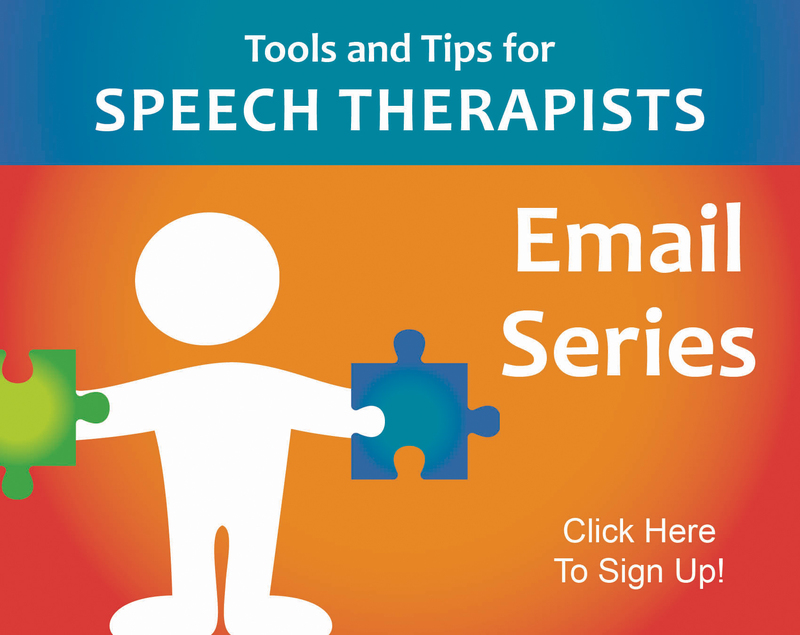 Share it with your speech therapist! Your myth examples illustrate the point I find myself making all the time. Although there are no pre-requisites for AAC in general, there is much to consider when beginning use of AAC. We must look at the child’s current skill level with regard to communication, visual, motor, and cognition, and then decide which communication systems to try. For example, if the child can’t visually scan pictures, we don’t want to start out with 50 pictures on a page. Begin where the child is at and go from there. Look at his strenghts and utlilize those while keeping in mind his weaknesses. I always start with request making as it’s so functional and self-rewarding for students. Just be sure the child is motivated to ask for what you are offering. No one requests what they don’t really want. I have looking at some of the answers on here is there any more as of this year or last year? Hi, Carol-Do you have a specific question you are looking for help with?